Patient satisfaction is becoming more and more important to healthcare organizations, especially when it comes to the HCAHPS survey. There are many factors that affect the way a patient feels when he or she leaves a medical organization. Each of these can directly affect the outcome of the HCAHPS Survey; and in turn, affect the financial stability of the healthcare organization. Placing the right patient advocate is a way to ascertain that patient satisfaction is achieved and to make financial solvency and stability easier to achieve. Patient advocates work as an intermediary between healthcare institutions, their staff, the patients they care for and their families with the goal of achieving a higher standard of care and a smoother patient cycle. In doing so, patient advocate leaders can not only enhance the patient and provider experience, but also identify problems, offer solutions, and work as agents of change. Today we will discuss what a patient advocacy leader does, how they can benefit your hospital or healthcare organization, and the skills someone must possess in order to be an effective healthcare advocate. Healthcare systems are complex for those who work within the system. It is an even harder task for patients who are navigating a healthcare system during a time of sickness. They are vulnerable, tired, and most likely emotionally worn out. Dealing with the intricacies of a healthcare organization can be difficult, confusing and frustrating to patients. Easing these challenges can have a direct effect on patient satisfaction. Healthcare advocates help patients to navigate the system and to communicate with those who will care for them. A healthcare advocate can be a nurse, social worker, or another type of healthcare professional and may engage in many different activities all with one goal in mind, to ease the patient’s healthcare journey. Patient advocates serve many roles. One of them is to serve as a guide; as a source of information for patients. Patients are hungry for information. They want information immediately and can become dissatisfied when information is not given on an immediate basis. They may come up with questions of their doctors and healthcare team, but may not be able to get answers right away. For example, when a patient is given a diagnosis, the patient advocate can give them an outlook of what their journey will look like so they are not surprised at the process. They can look at the patient’s medical history, review into the procedures that will be performed, and explain in layman’s terms what the patient can expect to experience better than a doctor or nurse who may be short on time or be dealing with many patients may be able to. A great patient advocate can solidify a healthcare organization’s patient-centered model of care. When patients are undergoing care, they and their families can be put under incredible stress. They can get frustrated, angry, impatient about the process. In this case, having a patient advocate in place can alleviate this anguish and distress. Because of the relationship that a healthcare advocate has with the patient, they can step in to assuage difficult situations and help the patient and their family to understand what medical staff may not be able to. They may also come up with solutions for the patient-derived from previous advocacy situations. Healthcare teams can scramble when there is a conflict with a patient or their family, in these cases, a patient advocacy leader can have an incredible impact. They can act as a designated negotiator to sort out the conflict. He or she must be able to figure out where the conflict originated, how to respond to the crisis, and how to work with the family dynamics of the patient to come to a resolution. They must also be ready to work alongside the legal team at the organization to make sure that the situation is handled with a focus on compliance. They also assist patients with case management and the billing cycle. 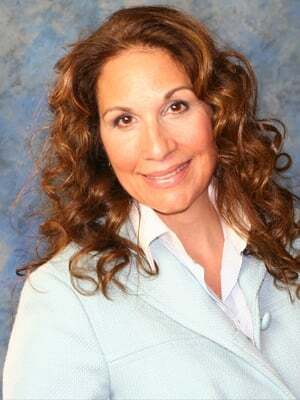 They assist patients with understanding processes and working with billing and insurance. They understand the system and its language to help patients get a speedy and satisfactory financial resolution. Finally, patient advocates have a direct effect on the HCAHPS score. Medicare and Medicaid will rescind funds when a hospital’s satisfaction scores are not achieved. This can put the healthcare organization into a downward spiral as a reduction in funds can make it even harder for healthcare organizations to achieve patient satisfaction. Because there are currently no state licensing requirements or national accreditations for patient advocates, it is incredibly important to vet those who may become patient advocate leaders at your healthcare organization. This may change in the near future, the Patient Advocate Certification Board is currently developing tests and certifications for this field. 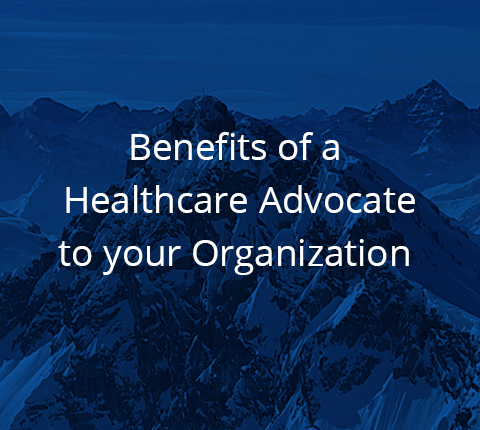 Until that is put into effect, one must pay very careful attention to the skills, experience, and core of the potential talent placed into a healthcare advocacy role. The right healthcare advocate must have the right demeanor. He or she must be level-headed, analytical and assertive. He or she should be able to understand the needs of the patient and have in-depth knowledge of the healthcare organization in order to assist the patient with his or her care journey. A patient advocate must have a full understanding of the fundamentals of the US Healthcare system. As such, it is incredibly helpful if the patient advocacy leaders you place have experience in the healthcare field. For example, a healthcare advocate who was formerly a nursing leader will understand both the patient and staff; and as such be able to communicate with both, identify the challenges of the team and provide solutions when needed. Having a patient advocate with a background in patient safety and risk management as well as a legal background within the healthcare industry can be incredibly beneficial to both patients and the organization. They can lower the risk of legal issues arising by guiding the patient through the system. Identifying, attracting and placing the right talent as your patient advocate can be a daunting task. Working with a boutique executive search firm that focuses exclusively in the healthcare industry, like Summit Talent Group is the best way to place a patient advocacy leader who will bring beneficial change to your patient satisfaction scores. When you work with Summit Talent Group, you work directly with our principals who all have in-depth industry experience. Because of this, they understand the challenges you and your patients face on a daily basis. If you want to learn more about what the team at Summit Talent Group can do for your healthcare organization, contact us. We look forward to hearing from you.